"... This disc amounts to a major and highly recommendable achievement." 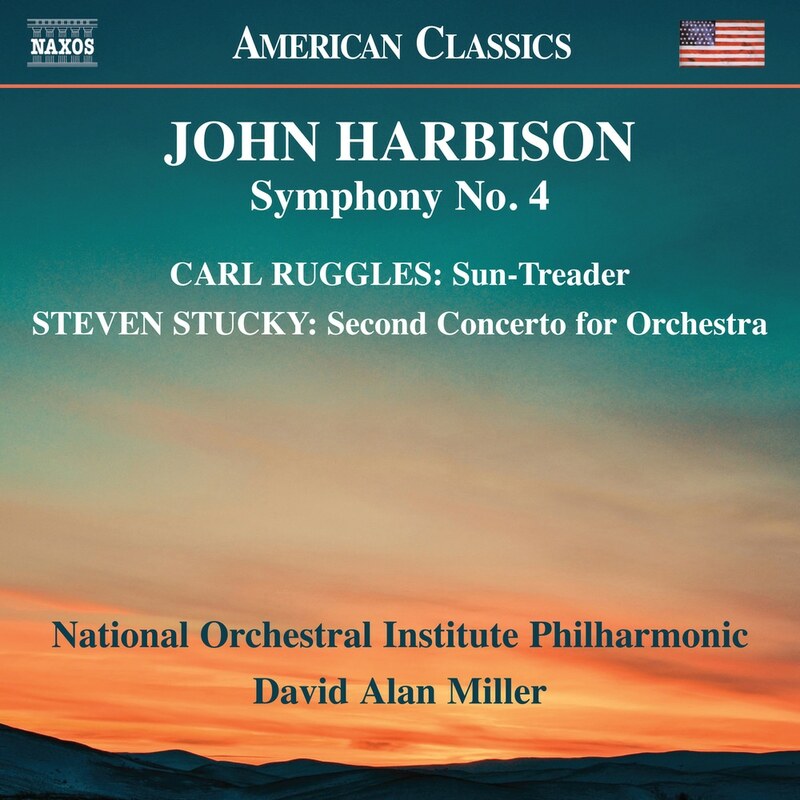 This is the third recording in a multi-year partnership between the National Orchestral Institute Philharmonic and Naxos to release one album of American music each year. A study in dramatic contrasts, Carl Ruggles’ ‘Sun-Treader’ is an overwhelming, granite-hued tone poem by one of New England’s most original and uncompromising composers. Steven Stucky’s luminous Pulitzer Prize-winning ‘Second Concerto for Orchestra’ is a riveting exploration of sonority and sound-painting while John Harbison’s ‘Fourth Symphony’ is a big, bold, jazz-imbued work by one of America’s most important living symphonists. These three American orchestral masterpieces comprise a program that will impress and delight in equal measure.